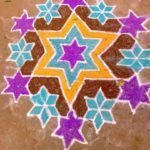 The 10 day Vipashyana Kriya Meditation Retreat is practised in silence, providing a physical and mental detox to maximise your awareness of your mind to align your inner and outer self. Absolutely out of this world experience, in total silence, Kriya Meditation to transform you into a state of calm and help you to ‘GET NAKED’ creating an enhanced awareness of your whole wellbeing. Throughout this retreat, you will be encouraged to follow the silent retreat advice and refrain from using mobile phones, other technology and yoga practice. Silent meditation practice throughout the day, self practice and guided by Yogi Ashokananda as a group. Meals are woven in between the various meditation practice sessions with a break after the main meal in the afternoon for self reflection. Teacher’s discourse occurs each afternoon and is the only time during the day when you can communicate with the teacher to discuss the experience and practice. Maintaining the silence extends to all forms of communications, no technology, no music, no reading, no writing and no speaking. Yogi Ashokananda will expertly and compassionately lead the Vipashy Kriya Meditation Retreat Yogi is an expert and pioneer as a practising master of yoga , mindfulness and meditation and a speaker on humanity and spiritual philosophy. Raised in India, he has been practising yoga since early childhood when his Grandfather was his first teacher. 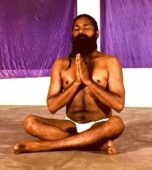 Over many years Yogi Ashokananda has been fortunate to develop his teaching, experience and education of yoga under some of the great, remote, Indian masters and siddhas. 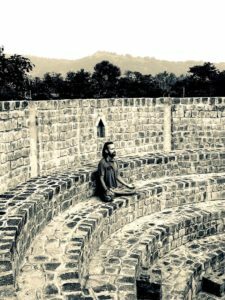 With a vast experience of meditation, Yogi has established some of the most simple and effective meditation techniques to accept, transform and embrace the material and spiritual aspects of ourselves. These include the Science of Relaxation active Meditation and Atma Meditation as well as having developed and taught his own practices of Kriya, Tantra and Kundalini Meditations. 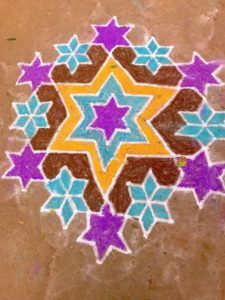 At Yogiville India, we are quite traditional with our approach, for example, the food prepared is grown onsite or locally, is organic and will follow sattvic principles. We see yoga as a way of life, not just a physical practice and the approach we take to nutrition / food is just one example. Another example, is how critical yoga and meditation are to the onsite charity school we support. The classes / practice are integral to their education, health, behaviour and focus. We really hope that the school can change the future for these children, as we get back to basics with yoga. And yet another example is the natural environment which will support the retreat. 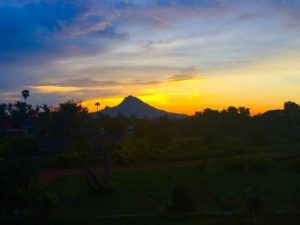 We reside on 13 acres of land on the outside of a village, which is on the outskirts of the town of Tiruvannamalai in South India. The land has been transformed over the past few years into a homeland for many new and returning species, flora & fauna. We have a variety of fields dedicated to orchards and farming of many types of vegetables for people, the cows & dogs we rescued. 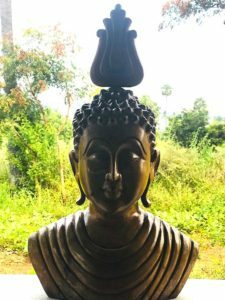 In between the agricultural aspects, the focal points for the yoga and meditation retreat are the Yogashala, Meditation Bowl, fire ceremony and temple area. We believe that reconnecting with nature is part of the yoga retreat experience. All of our organic food is grown onsite, locally and our kitchen follows sattvic principles, i.e. all vegetarian, no eggs, no onion, no garlic & no mushrooms. 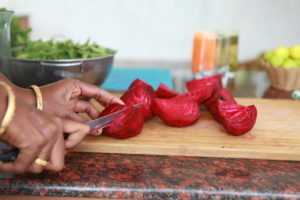 We serve 3 daily healthy meals offered all prepared at time of meal in our onsite Ananda Kitchen. The most amazing seasonal fruit is available throughout the day to snack on along w/ chai, herbal teas (some grown onsite) & water. All drinking water and water used in our kitchen is bottled mineral water. Meditation Sessions and daily Teacher’s Discourse are offered by Yogi Ashokananda as a volunteer. Previous year’s participants cover the costs of current year’s retreat guests. In turn, current year’s retreat guests pay forward the costs for the next year’s retreat guests. We are served by two airports in the region, Chennai (Airport Transfers included in Fee) and Bangalore. Airport transfers between Bangalore and Yogiville India can be arranged at an additional cost. Upon registration, you will be provided with a complete information package.